I don’t like to drink my calories (unless it’s for a cocktail, wine or beer occasionally), so I usually pass on all the delicious-looking drink concoctions that I come across but not this week. I can no longer deny myself this small pleasure. The temperatures are rising (and the wheels keep turning), I want a chilled drink and to sit outside for my own revelry. Yesterday, I posted a simple idea for iced coffee with coffee cubes and today, I think lemonade/limeade and their variations sound, well, classic and refreshing-puckering and all. You’re going to want to make simple syrup but don’t fret, I’ll tell you about it below. I think the whole adding sugar, stirring to dissolve thing isn’t as tasty as the simple syrup route. Lemonade, growing up, meant we were at my grandparent’s house, a family reunion, or another gathering of sorts during the warm seasons. I do believe Country Time lemonade was the choice of that time (still is when I’m back home) but I wanted to make it the old fashioned way with real lemons and hand squeezing power. My grandma might not like this, but one of my favorite lemonade moments was when she accidentally left a paper towel in the bottom of the plastic jug she uses to make the beloved beverage. My dad made that discovery in his glass. The look on his face was priceless. I still like to tease her about that one. No motorized juicer for me (I wish) but I do have a handheld one that I used. I only made enough for a few drinks between the two of us. A pragmatic solution, if you are making it for an entire family, would be to invest in an electric juicer or plan for hours of juicing. 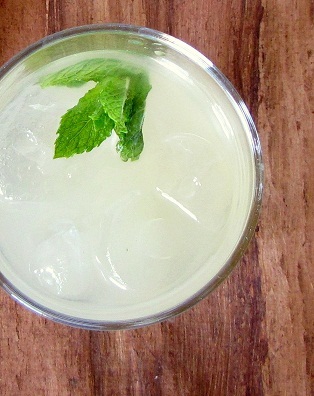 Lemonade and limeade makes for a great base in several drinks if you’re looking for a twist. I trusted Chow to give me the basics and adjusted for my taste-I like more pucker than sweet. There’s always the option to add a dash or two of Angostura bitters, something often used in cocktails. It imparts a bittersweet herb flavor. Check them out here for other drink ideas. (I’m not connected to them, just a fan.) More of a beer person? Try a lemon shandy-lemonade mixed with a pale ale beer (1 part lemonade and 4 parts beer works well). How do you make your lemonade? What’s your favorite way to drink it? Simple Syrup: Combine the sugar and water in a saucepan and heat to a boil, reduce to a simmer and when sugar dissolves, remove from the heat and cool. Store in the fridge. If you want to infuse it with an herb (mint or lemon verbena perhaps) or berries, mash the berries in the cooling syrup or place a handful of herbs in it (when it begins to cool) until the syrup tastes of the addition. Strain and store in an airtight container. This could take 20 minutes to over an hour. Combine the lemon or lime juice, syrup and water in a pitcher. Stir well and adjust to your taste. 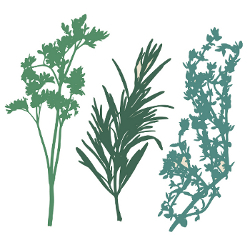 Garnish with mint or ice with berries or herbs frozen inside. For pink lemonade, add a splash of cranberry juice. If you made limeade, the color will most likely not be very green and if this is important to you, add a dash of food coloring. 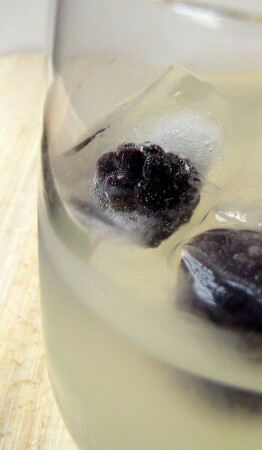 For an adult drink, add a splash of gin or vodka. For an Arnold Palmer, mix with equal parts of iced tea. My favorite way is to make ice with berries or herbs frozen inside, add a few to 1 part lemonade and 2 parts club soda, sometimes a dash of blackberry infused simple syrup and a lime wedge. 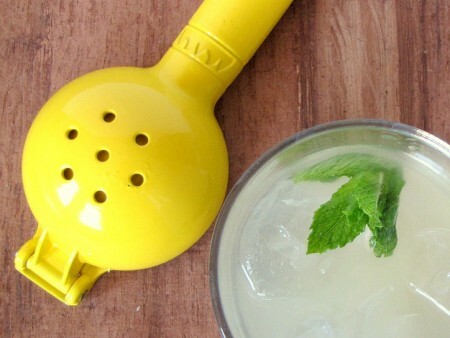 The limeade is great with a few tablespoons of honey mixed well in the pitcher. For an orange/pink color, add Angostura bitters. A lemon shandy is dandy-lemonade mixed with a pale ale beer (1 part lemonade and 4 parts beer works well). You could freeze the lemon/limeade and add the cubes to water for something milder. There are so many variations so experiment or enjoy the classic style-all are refreshing! I’m not a big fan of drinking calories either but not because I’m watching my weight, just because I’m more of a tea and water person – my mum didn’t ket us have sweet drinks much as kids so I’m not used to it. Having said that, sometimes I’ll get a craving for a drink other than those and this one looks like a winner!